SP Jain School of Global Management recently welcomed Dr. Ashish Das, Professor of Statistics - IIT Bombay, at the Mumbai campus. 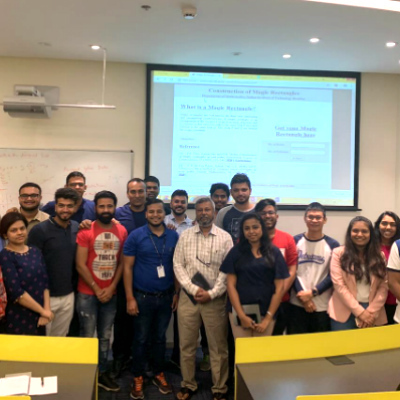 He spoke to the Bachelor of Data Science (BDS) students about Mathematics for Data Science with a special reference to Financial Engineering Algorithms. Dr. Ashish Das is a famous mathematician of India and a large part of the regulatory framework in Banking, Financial Services and Insurance (BFSI) sector, particularly for setting benchmarks in quantitative rates, is due to his work as a data scientist and mathematician for the Reserve Bank of India (RBI). He also assists Google in solving some challenging algorithmic problems along with his research team at Stanford University. 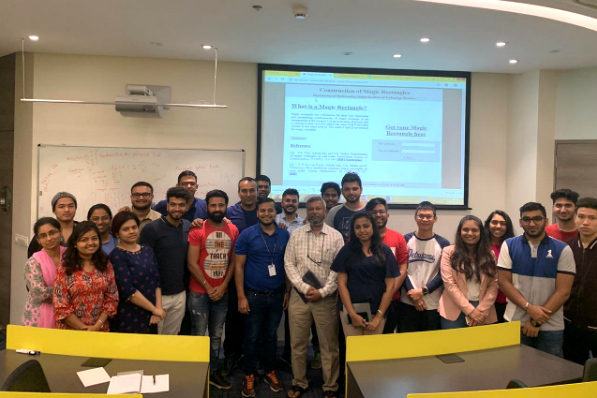 We are also thrilled to share that our 1st year BDS students have got the opportunity to intern with some of the most reputed names in Data Science academia this summer, notably Prof. AK Chakravarty – Indian Statistical Institute, Kolkata, Prof. S Chatterjee – IIT Kharagpur and Dr. Ashish Das – IIT Bombay, among others.